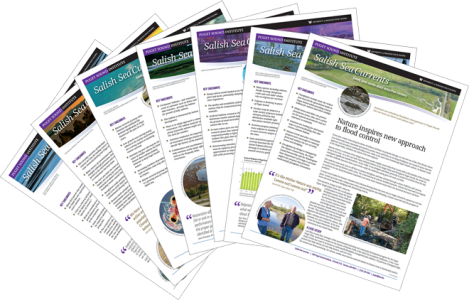 Home » Blog posts » Interview: Can ’Silicon Valley North’ change the way we think about Salish Sea recovery? Interview: Can ’Silicon Valley North’ change the way we think about Salish Sea recovery? 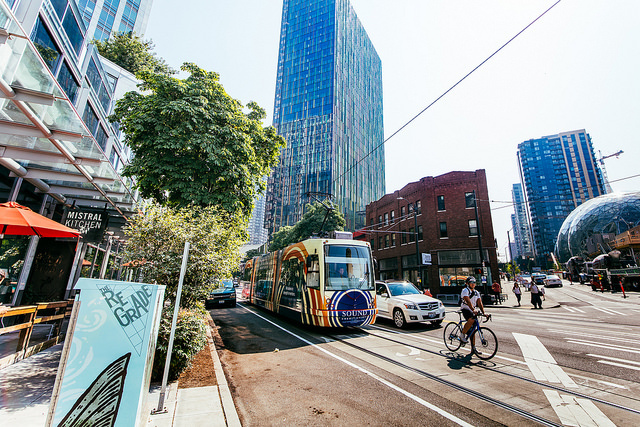 A strong economy driven by a world-leading technology industry is expected to draw millions of new residents to the Salish Sea region within decades. This changing population brings with it new strains on the environment but also new perspectives. Incoming residents may not see Puget Sound the same way as previous generations. Many will have different relationships to the natural world or come from other cultural backgrounds and traditions. Technology will also play a role, not just as an economic driver, but as an influence on the way that people receive and share information. Our smartphones and digital lifestyles will have their own geography, and some say we will have to navigate and understand that virtual world as surely as we understand the real bays and inlets of Puget Sound. Given this changing landscape, can Puget Sound recovery efforts adapt and keep pace? Puget Sound Partnership Science Panel member Robert Ewing says it’s absolutely critical. Ewing is currently a visiting scholar at the UC Berkeley College of Natural Resources and is actively involved with strategic training for members of Seattle’s technology industry through the organization Pathwise, where he is Director of the group’s Fellows Program. He will be co-chairing a special panel with PSI at next year’s Salish Sea Ecosystem Conference titled “Can ‘Silicon Valley North’ change the way we think about Salish Sea recovery?” PSI spoke with Ewing earlier this year and asked him how he thinks the Puget Sound science community can reach the region’s changing population — particularly its technology sector — and why it matters. PSI: In the broadest sense, who do we need to bring to the table? Robert Ewing (RE): I think everybody who lives in the region is a potential constituent as well as visitors and others. I think we ought to be able to articulate the region’s importance in terms of the quality of life here, the reason that businesses locate here — the [conditions] that allow us to live in a healthy, natural environment. All those things are part of what we’re trying to accomplish and should have resonance for everybody in a sort of a civic, nonpolitical frame of mind. PSI: How important do you think the technology sector and its economic engine are to the equation? RE: If you really were doing some business model development and you looked at the distribution of brainpower and wealth in Puget Sound, you would quickly come to a conclusion that those are the people you should be talking to. And the management council for the [Puget Sound] Partnership is part of that community — Bill Ruckelshaus certainly was — so it’s not like there hasn’t been contact or thinking there. But if you were an objective observer looking at who lives in the Puget Sound region, you’d want to know how to deal with all those people and bring them to the table. PSI: Do you think those folks — the Bill Gates’s and the Jeff Bezos’s — really care about the environment? Or do they care more about making money and building software? RE: I’m doing some work with a leadership training group called Pathwise. I’m managing their fellowship program. Most of their students are Microsoft, Expedia, Gates Foundation professionals and engineers. And in dealing with them I find that most of them don’t think about the environment very much. But you don’t have to talk very long until they get quite interested. I’ve been in a class with engineers [whose] whole world is about getting a search a nanosecond faster than Google. Just giving them a few minutes to think about where they are in the world with their family and so on can open a path to environmental discussions. We are all so much more capable through intuition and emotion to understand the world we live in — and [to understand] that we are part of the natural world — but we don’t communicate in that way. That’s something Pathwise is trying to do and is doing pretty successfully. I’m not saying I’m an expert in these things, but I see it working. PSI: So what should we do to bring these people in? RE: There are a lot of people struggling with exactly how to do this. I think there’s a way of not putting all the action items within a bureaucratic framework. There are ways to think more experientially, and organically, about how to move forward. [We should] try more things. Be more open to ideas and changes. Be more adaptable. One of the reasons that I’ve wanted to be active on the science panel is I think we have to be able to answer the question you just posed. That’s going to take a collaborative effort, an open source effort if you will. This is where the brainpower of the region comes in. I mean, we have Amazon, the University and a variety of start-ups and a lot of smart people walking the streets. Collectively, I think the answer is there. We just need to figure out how to bring it all into action. My goal is to be around the people who can figure this out. And hopefully it’s younger, higher powered people with a lot of energy with some guidance from people with experience. My main goal is to try to have this dialogue go forward and find the resources we need to collectively involve the people who will give us the answer. Robert Ewing was trained as an economist and holds a PhD in Wildland Resource Science. He has worked in both the private and public sectors and was Director of Timberlands Strategic Planning for Weyerhaeuser for 20 years. Before that, he was head of resource assessment and strategic planning at the California Department of Forestry and Fire Protection. He is currently a visiting scholar at the UC Berkeley College of Natural Resources and is Director of the Pathwise Fellows Program, which offers leadership training for business professionals. He is also a member of the Puget Sound Partnership Science Panel. See also: Land Development and Land Cover Implementation Strategy.